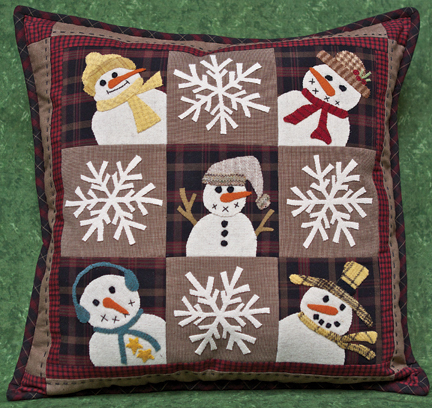 Felted wool and rustic homespun plaid cotton create this group of smiling snowman companions. 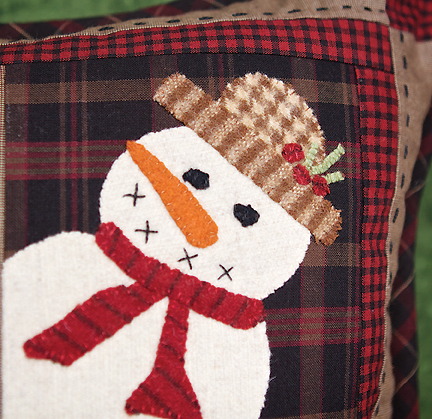 Just the accessory for your winter decor, this is a fun applique project. The kit contains the pattern and the fabric and wool to complete the pillow top.